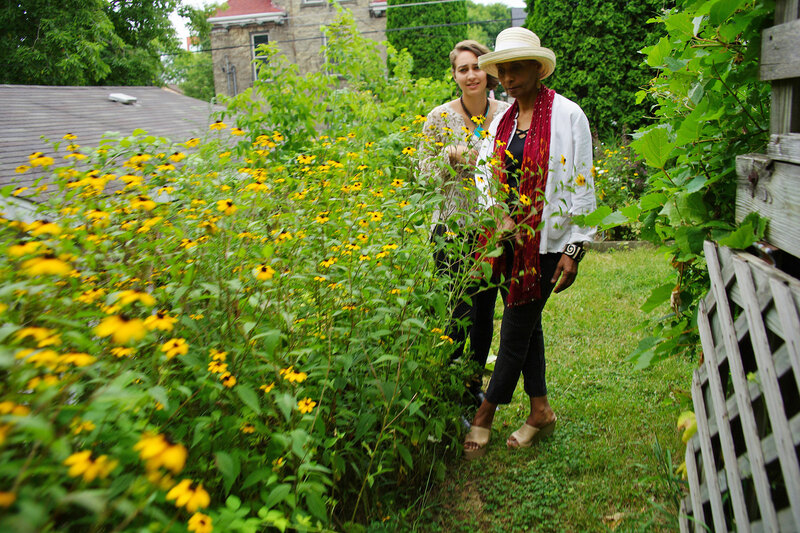 As the force behind community engagement efforts for the Milwaukee Repertory Theater, Nabra Nelson has worked as a director and deviser with performing arts groups around the country. Born in California, she spent much of her formative years growing up in Egypt and embracing the diversity of various cultures. Her new play was recently performed in Milwaukee during the Br!NK New Play Festival by Renaissance Theaterworks. 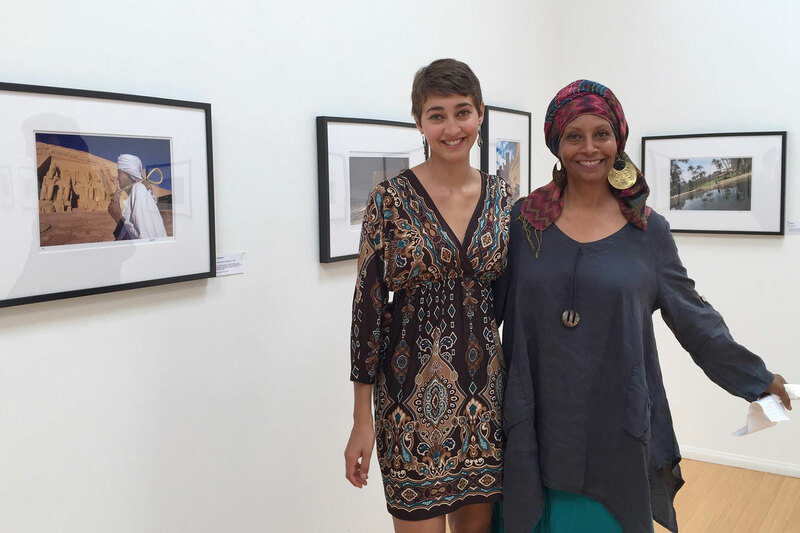 The Wisconsin Muslim Journal spoke with her about the stage experience, based on the incredible life of her mother Mona Sherif Nelson, and how it intersected with her personal journey. 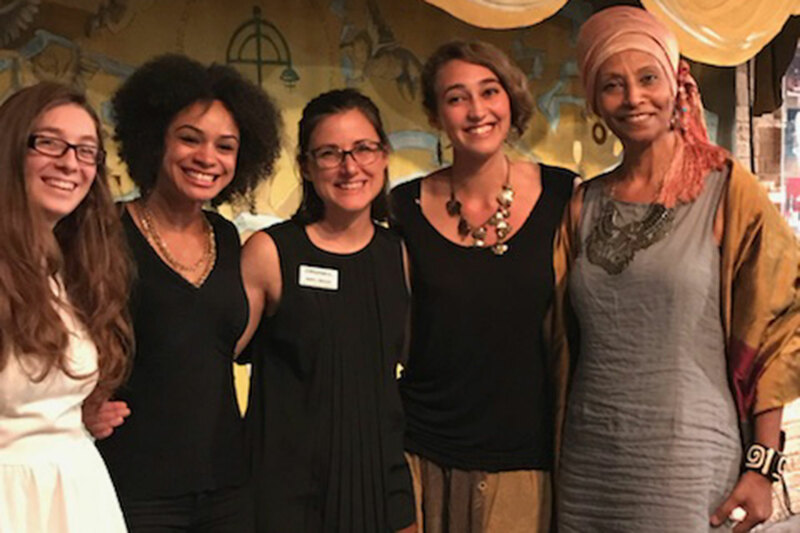 Wisconsin Muslim Journal: What inspired your idea to write a theatrical play, and how did you pick “Nubian Stories” as your first work? 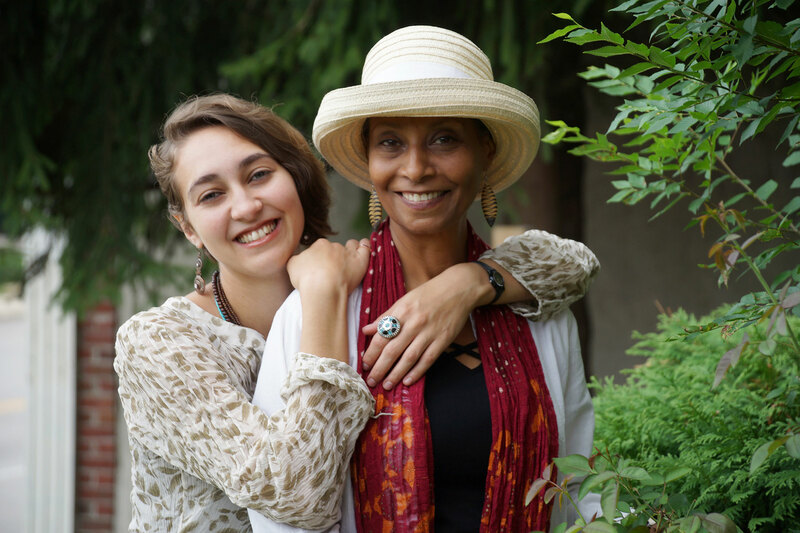 Nabra Nelson: Several years ago my mother, Mona Sherif Nelson, started writing down the stories that she grew up hearing, that were passed down to her through oral tradition. Since the flooding of her village of Abu Simbel, due to the construction of the Aswan High Dam, she realized that these stories would slowly be lost if someone did not document them. She would write the stories, and I would edit them for grammar and spelling. So I had all these wonderful ancient Nubian folktales on my computer that I didn’t know what to do with. I figured that the only way to truly preserve and share these stories is by telling them to other people. So I started compiling them into a play. And in order to bring relevance to the tales, I had to explain some of the history and culture of Nubia. By weaving my mother’s life story with the folktales, audiences are able to contextualize the cultural folktales and understand their importance. It all came together quite quickly, in fact. It also helps that my mother’s biography is almost as fantastical as the folktales. Wisconsin Muslim Journal: What is the play about, and do you consider it more biographical or fiction? 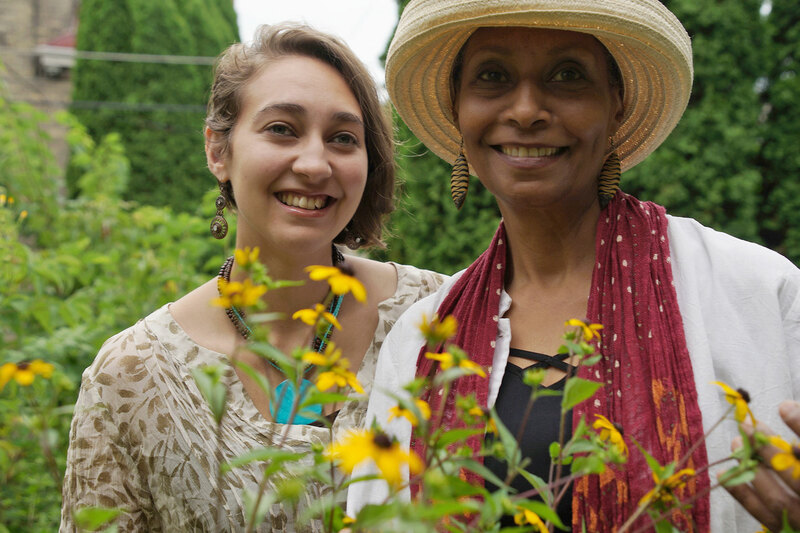 Nabra Nelson: The play is about a Fadija Nuban woman named Nuba, based on my mom, who tells the story of her people and her culture through her own biography, as well as the ancient folktales she grew up with. It is certainly more biographical, and almost completely true to my mother’s life, which is at times hard to believe. My mom really has had an intense and unexpected life filled with twists and turns, many of which I could not even fit into the play. 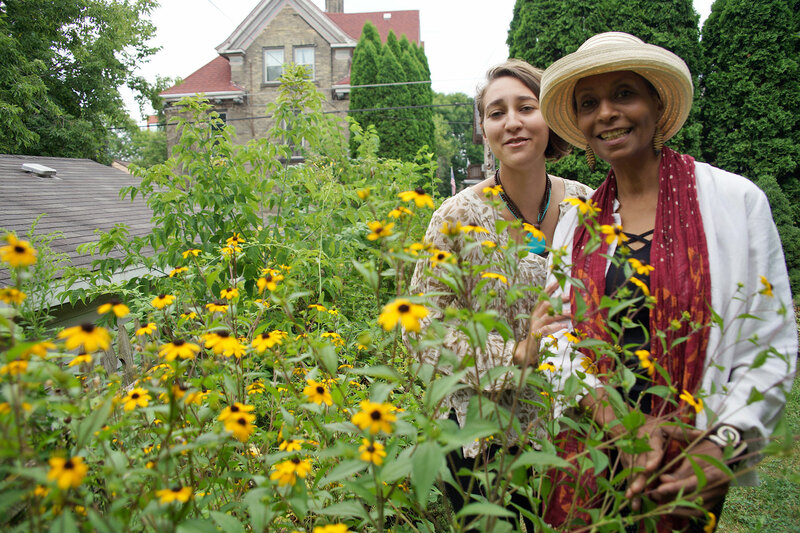 Wisconsin Muslim Journal: Was the process of writing the play and organizing its production what you expected? Nabra Nelson: Being in the theatre business, I understand the steps to producing a play and have been involved with a lot of new works as a director, assistant director, and dramaturg. But I really never thought I would write a full-length play that people would be interested in. 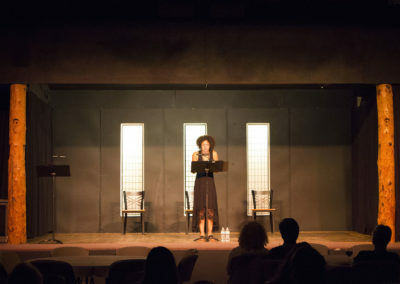 Because the script came together quite quickly, when I was done with it I was like, “Oh, I guess I wrote a play!” Then, having Renaissance Theaterworks select it for the Br!NK New Play Festival was incredible, and such an amazing experience. I really needed that workshop process to make important edits and get feedback from an audience. 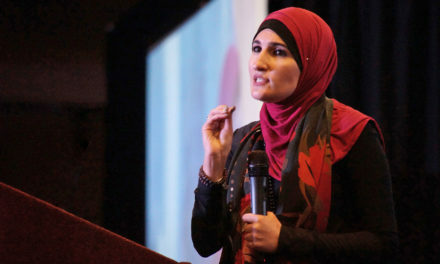 Wisconsin Muslim Journal: What was the most difficult part of the experience to bring your vision to the stage, and the most rewarding aspect of it? 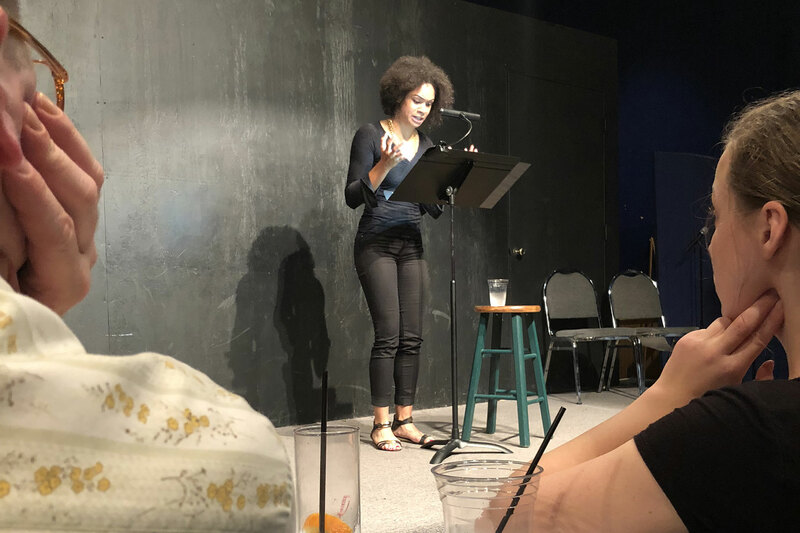 Nabra Nelson: The most difficult aspect was thinking through all of the feedback I got from the audiences at the readings. I really respect audience feedback and consider every bit of it. So figuring out what to change, add, or ignore takes much careful thought. The most rewarding part was working with the team at Renaissance. I had an amazing group of women helping me think critically about the script, and having in-depth and much needed discussions. 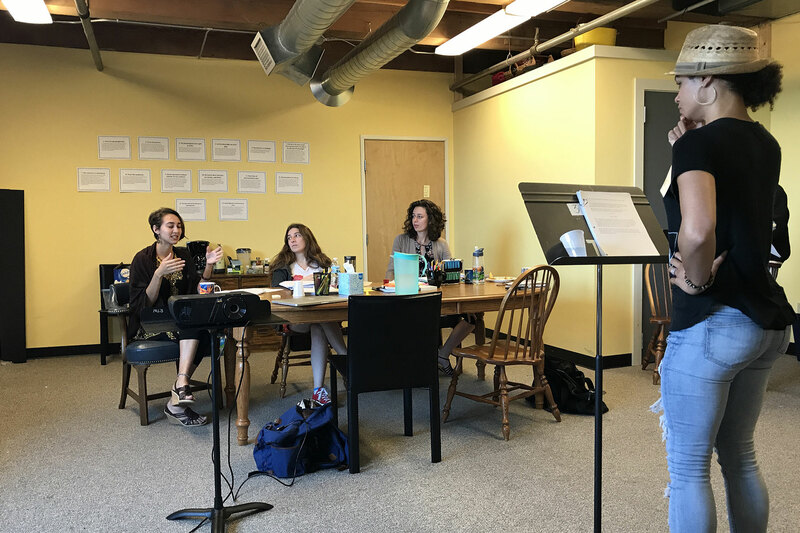 Mallory Metoxen (the director), Erika Kirkstein-Zastrow (the dramaturg), Bailey Wegner (the stage manager), and of course Krystal Drake (the actress) were incredibly supportive and inquisitive. They were integral to the development of the play. Wisconsin Muslim Journal: What was your family’s reaction to learning about your play, then seeing its performance? 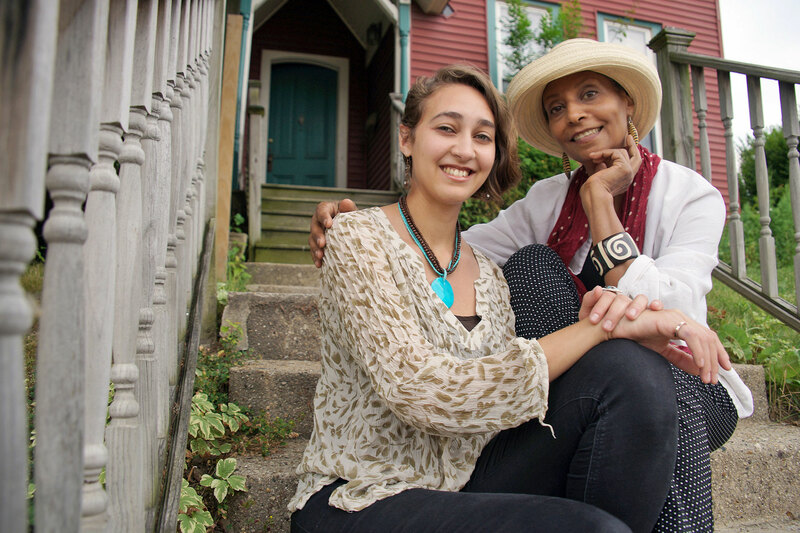 Nabra Nelson: I was really nervous about my family seeing their story on stage, especially my mom and dad. Once I finished the first draft of the script I sent it to them. But because it is a one-woman show, the script doesn’t look like a conventional play script – since there is no dialogue. They loved the concept and were very supportive while I was writing it. But they were constantly asking me to send me the script, and I would tell them that I already did, and they would tell me that it was just a bunch of paragraphs, and I would tell them that was because there was only one character, and so on. So when they visited Milwaukee to see the staged reading performances, since they live in Los Angeles, I knew they weren’t sure what to expect. 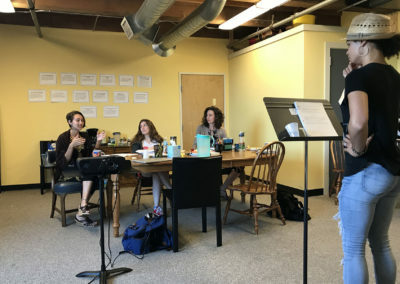 They hadn’t been to a play reading before (in which the play is read by an actor, but there is no set or props or costumes), so that concept was also a bit confusing for them. I wasn’t sure if they would be able to visualize what a full production might look like. But they loved the show. And I was so relieved. My mom is continuing to help me edit it and providing me with more details about her life that I can include. It was amazing to have them see it in person and be a part of the script’s development so early on. Wisconsin Muslim Journal: How did audiences respond to “Nubian Stories” and was there anything that surprised you about their feedback? Nabra Nelson: The audiences for the three performances that we had were so engaged and thoughtful. The final audience was even participating in the call-and-response portions and clapping between scenes – it was wonderful. I was surprised that they wanted to learn more and asked me to include additional details about the character’s life. That feedback helped me identify areas that I needed to develop further. But after an hour and a half of one woman talking to them about her life and culture, they still wanted more. That was also very affirming, of course. Wisconsin Muslim Journal: What did you hope audiences would take away after watching the production? 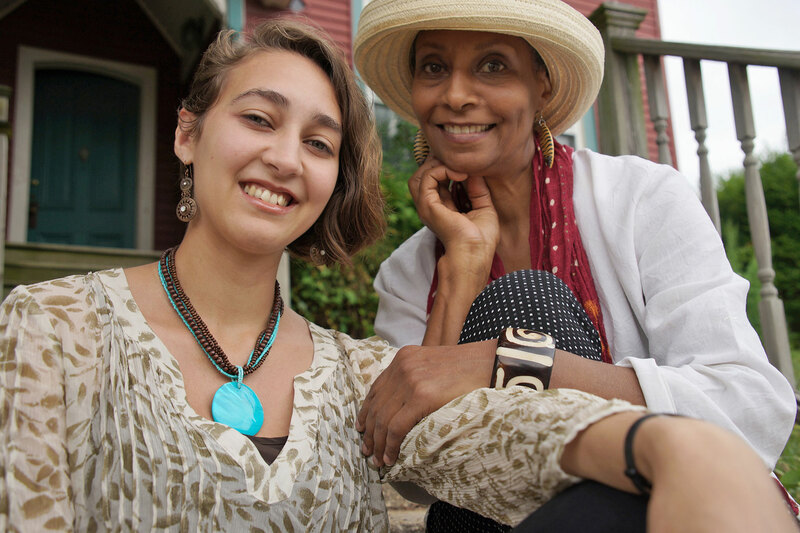 Nabra Nelson: Part of the goal of this play is to inspire people to learn more about Nubia after they see it. I hope that audiences go to Google and Wikipedia and dive deeper into the beautiful culture that I know and love. I also want to inspire audience members to tell their stories. The play explores why stories are important and should be told. So whether it be folktales or fairytales that they grew up with, or the stories of their own lives and their families, I hope that audience members feel motivated to share and preserve their own cultures and experiences. 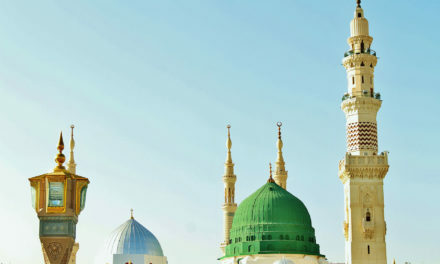 Wisconsin Muslim Journal: How would you describe the Nubian culture that your mother grew up in, and did she have any life experiences in Egypt that you regret missing in America? 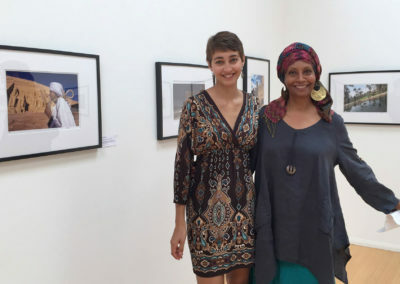 Nabra Nelson: It’s really hard for me to describe or even fully understand the exact culture my mother grew up in, since there was kind of a Nubian diaspora after the villages were flooded when she was a child. But giving a snapshot of the old village before the flood is a lot of what my play tries to do. The Nubian culture in general is very family-oriented, generous, open-hearted, kind, artistic, religious, and celebratory. I grew up in Cairo and had many of my formative life experiences in Egypt, from age nine to seventeen. So there isn’t really anything I feel like I missed out on in my first nine years of life in the United States. 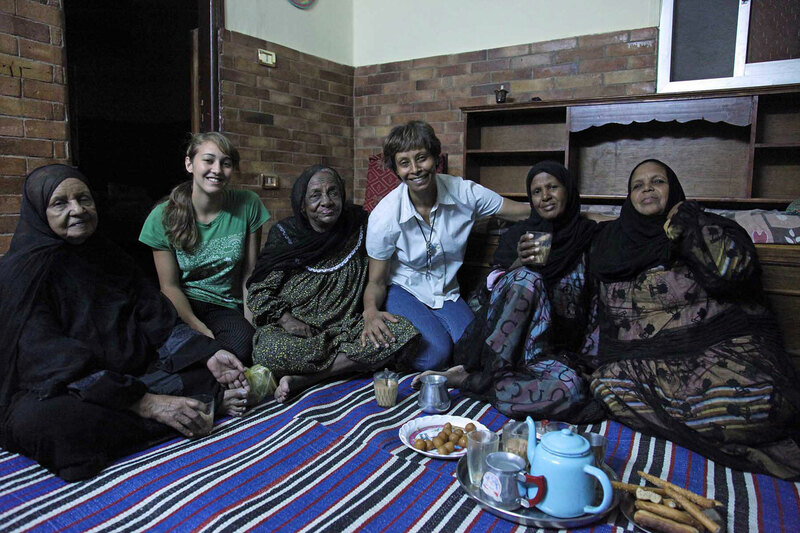 I got very close with my Nubian family, became almost fluent in Arabic, learned a little tiny bit of Nubian, spent time in the village, and truly identify Egypt as one of my homes. 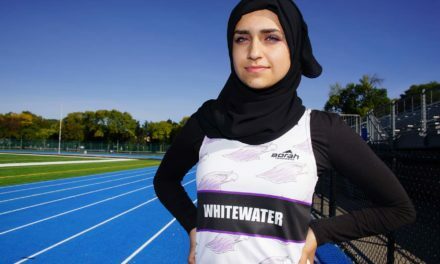 Wisconsin Muslim Journal: With America’s fixation on skin color, what was it like growing up being lighter than your mother and other family members? Nabra Nelson: This question could easily be a whole article (or essay, or book) unto itself. But, in a nutshell, I know who I am and where I come from. Society and perception are seemingly in constant strife with identity, no matter who you are, and learning that has helped give me confidence in my identities. Especially hearing the experiences of other mixed race people has made me understand that we are all in the same boat in some ways. It is interesting to learn about my mother’s experiences with race and how they strangely feel very similar to mine. In Cairo as well as the United States, she felt like she didn’t completely fit because of her skin color, her heritage, and her language. For me, it’s my race, my ethnicity, and my background that makes me feel like an outsider at times. For other people, the list is different. In the end, we create our own communities, and I use my identities to fuel my work and my art. Wisconsin Muslim Journal: Do you have plans to tour performances of “Nubian Stories” and do you want to continue writing for the theater? 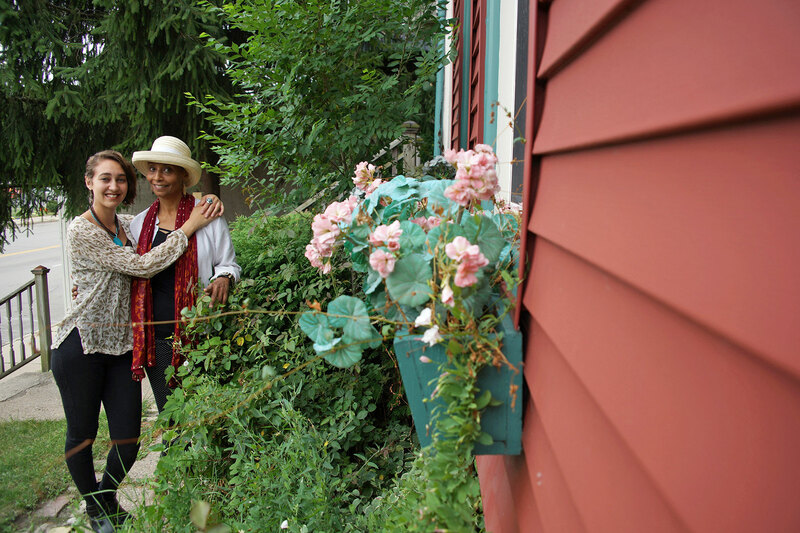 Nabra Nelson: I want to see “Nubian Stories” done elsewhere. I plan to see if theatres, cultural institutions, museums, and public spaces are interested in putting on performances, or even just readings of the play. My father is also a professional photojournalist and I would love to see his photos of Nubia, my grandfather’s novel – he was a professional writer and painter, my great-uncle’s music – he was a professional musician, my mother and brother’s paintings – they are professional artists as well, in addition to other Nubian multi-media art, be used to enrich the experience of seeing this play. I certainly have plans, and have committed to a personal mission of spreading knowledge and appreciation of Nubian art and culture. 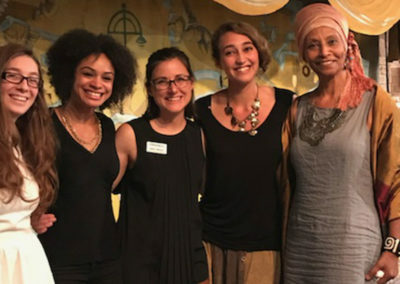 Wisconsin Muslim Journal: What would you say to inspire young women to pursue their interest in playwriting? 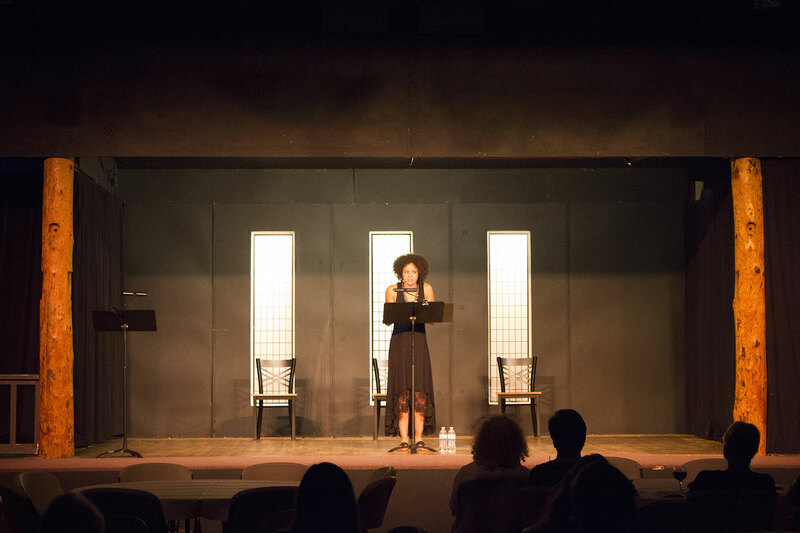 Nabra Nelson: I would point out the fact that I never thought I would or could write a play, but here I am. If you have a story you need to tell, you will find a compelling way to tell it – just start writing. It’s what I have heard from so many writers before. “Just write and keep on writing,” and it is so true. When you get stuck, there are so many resources online to give you the tools or inspiration you need to keep going. In the end, no one can tell you how to tell your story, so you just have to go for it.